At last I'm writing this! I was eagerly waiting to gather the guts to post images of my room on TPCG. We haven't painted the house in nine long years! Though the living room (hall) is still nice, the paint in my room is slightly losing its grip. The walls are not horrible, but there are few flakes on them. Anyway, at last the day has come to paint the house up. Tomorrow, they will begin the work with either of the rooms, and after that, they'll start with living room, kitchen, and toilet. Of course I am not going to show the rest of the house, but only my room. This is the overview from the living room entrance. It is a balcony-converted-room (if that makes sense!). This is the overview from the parents' (now brother's) room. You always saw the desk area on TPCG; but never the upper part of the desk area. This is how it is. Photographs, frames, and trophies. A close look at the glass rack above the PC table; it saved my life from the chaos, and acts like a stand for some PC table decor. These are the photographs on the wall. I call it as the photo wall, or sometimes the memory wall. Please ignore the 'It's Me'. How can I not upload the picture of the DIY frame we made together? The place between the PC table and the bed is reserved for college related material. The latest bag, pencil case, and all the things that are supposed to be packed/carried to college the next day are kept in this area. This acts like a reminder. This is the overview from the large window. Our DIY calender and a wall-clock. Some random paperwork stuck on the window. This shelf you all know already. One of the objects for project paint! My dirty hello kitty from 9th standard, and two pillows. And that's a carom board peeping from behind. An overview from the window. All the stickers are old! I stuck them when I was in school. An overview from PC table. Whew! I'm sorry I couldn't explain the little tricks that I've used in my room. I was drawing poster for Teachers' Day as a STUCO member. I was doing it since morning 12:00, and with a two-hour break, I just got done with the whole poster at 10:30! My back hurts. 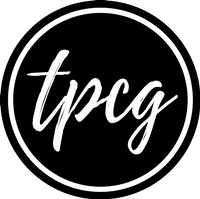 Mail me the pictures of your room, and I will post them on TPCG. P.S. I might not be able to post for few days to come due to painting!